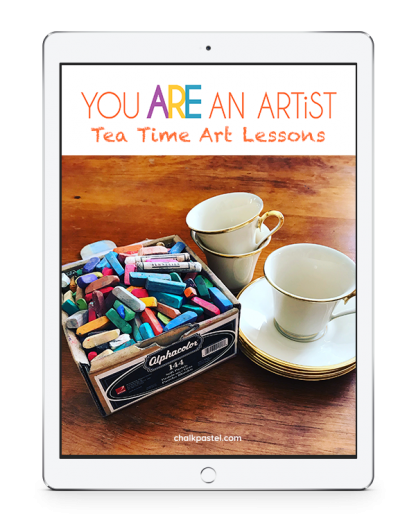 Tea Time Art Lessons - You ARE an ARTiST! 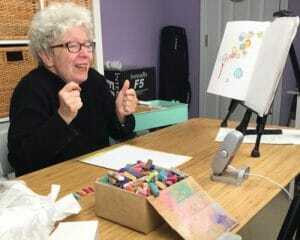 Make tea time a wonderful and celebratory time with a whole YEAR of Nana’s Tea Time Art Lessons. Grab your favorite book of poetry or your current read aloud and pick a favorite art lesson from this extensive collection. Oh the memories you and your artists will make! Just add a starter set of chalk pastels, construction paper (or your nature journal). No expensive, intimidating list of art supplies. Tea Time Art Lessons are a wonderful stand alone art curriculum or a perfect complement to your learning. What is included in the Tea Time Art Lessons? 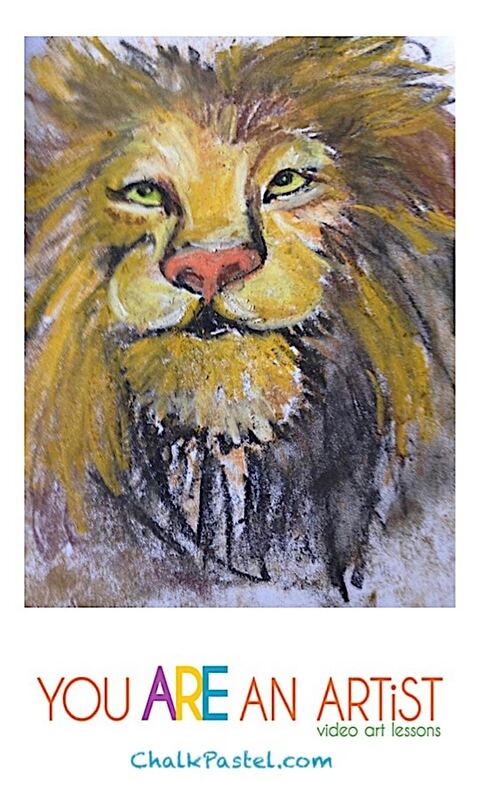 How to view the Tea Time Art Lessons? The majority of lessons are video based and include an overhead view of Nana leading you through, step-by-step. The written, step-by-step art lessons with photo tutorial steps can be viewed on any digital device. Nana has shared so many favorites just for fun. Now you can enjoy these all in one, convenient spot. 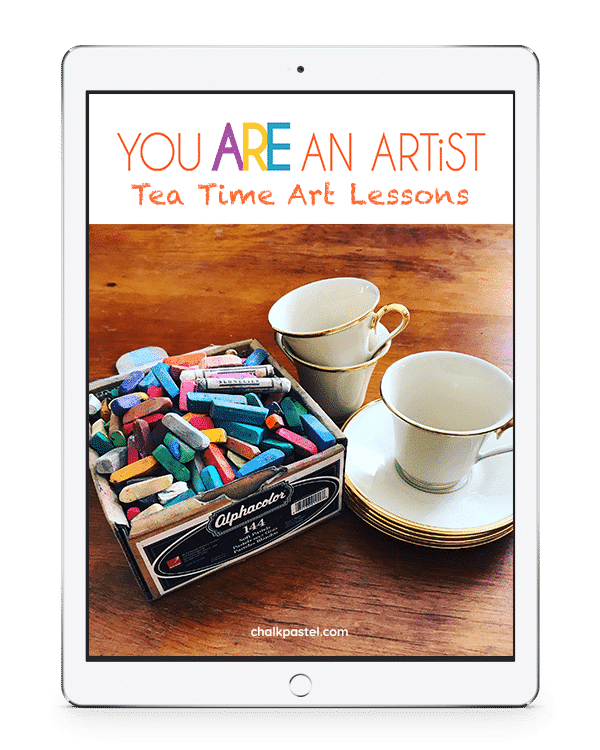 This Tea Time Art Lessons bonus includes art lessons for favorite books, tea time goodies, seasonal favorites, childhood picture books and more. Nana’s Video Art Lessons for your favorite read alouds are collected in one spot for you! Green Ember, Narnia, Stopping By the Woods on a Snowy Evening, Winnie-the-Pooh, Charlotte’s Web, Mary Poppins, Harry Potter, How to Make an Apple Pie and See the World and many more. Written, step-by-step art lessons for: many Five in a Row books like Harold and the Purple Crayon, Lentil, Madeline and more. 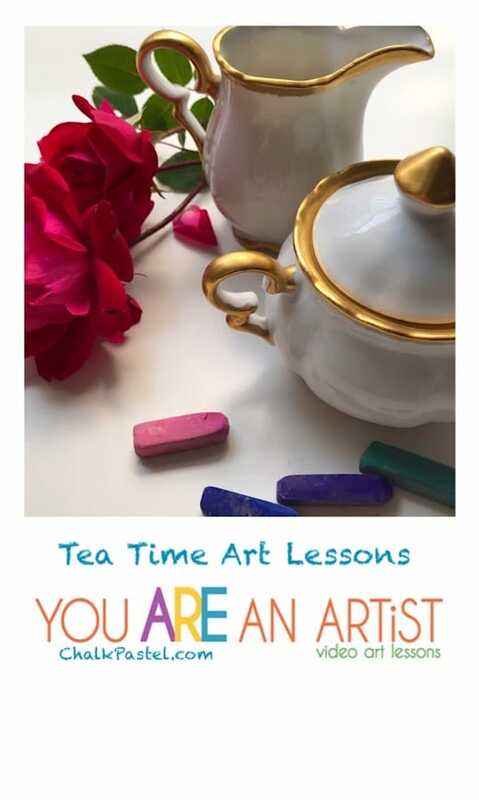 Tea Time favorite goodies art lessons! Cookies, donut, ice cream sundae, hot chocolate, cake, cupcake and more. Includes fun seasonal and nature lessons too! How Can You Use These Tea Time Art Lessons? Have parent and me times the easy way – just open and go! Add even more fun to your tea time by highlighting a favorite read aloud. Supplement any of your learning with art. Enjoy a creative art break for you!